The Congress on Tuesday accused the Modi government of systematic decimation of the economy and jeopardising the future of youths, farmers and the marginalised through its decisions. Congress spokesperson Gaurav Vallabh demanded the government come out with a white paper on Mudra loans to ascertain in which sector there was default. He accused the government of unleashing anarchy in the country's economy, destroying the unorganised sector and worsening the agrarian crisis. The government has "ill-treated" the farmers, who are getting less prices for their produce and are paying more for their daily needs, he said. 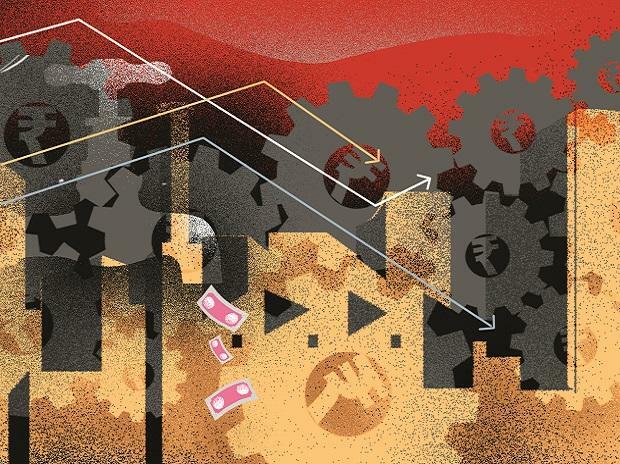 "As the Narendra Modi government enters its last lap, it is crystal clear that it has unleashed an economic anarchy of 'jumlanomics' and wreaked havoc in the lives of the people. It is high time that PM Modi reflect on his unwitting decisions and apologise to the people. Ninety days are now left, and the people have already made up their mind to vote out the BJP," he told reporters here. He said the falling farm-produce prices and rising non-farm prices was causing rural distress, frauds, fake news. "The Narendra Modi government is single-handedly responsible for destroying, damaging and demolishing the Indian economy, thereby severely jeopardising the future of youths, farmers and the marginalised. There is no doubt that the twin assaults on the economy -- demonetisation and a flawed GST -- finished jobs and completely decimated the unorganised sector," he said. Vallabh alleged the Modi government's gross financial mismanagement was killing consumption and purchasing power, encouraging deflation, hurting exports, stagnating investments, terminating manufacturing growth and lowered the faith of the people in the banking sector. "There are no jobs. Farmers are in extreme distress. The rural sector is anguished. The poor are suffering. The countdown for Modi government's exit has begun, even though it is trying to clutch at straws by announcing one 'jumla' after another," he said. Charging the government with dealing a severe blow to the socio-economics of the country, he said there are no jobs, the unemployment rate has increased to a 27-month high of 7.38 per cent in December 2018. In the last one year, 11 million people have lost their jobs, 30 million people are looking for jobs and unemployment rose to a four-year high post-demonetisation. Taking on the government over joblessness, he said while the prime minister claims there is no 'data on jobs', a report prepared by the former Niti Aayog's VC Arvind Panagariya on 'jobs data' has been "deliberately kept in the cold storage by the Modi Government" which is said to have painted a "grim picture" for job creation. The government has also held back labour bureau's employment/unemployment report for 2016-17, he alleged, noting that HRD Minister Prakash Javadekar made an "obnoxiously bizarre remark" on the unemployment crisis where he allegedly said "people who don't work out of choice, cannot be considered unemployed". "This comment not only mocks our youth, but also rubs salt on their wounds inflicted by the Modi government. Earlier, we have heard horribly repulsive comments by PM Modi himself on how opening a 'pakoda' stall is also job creation," he alleged. He said the wholesale price index (WPI) for December revealed that the WPI for the sub-component for primary food articles has been negative for six consecutive months beginning July 2018 which means the price at which farmers are selling their products are falling. Fall in nominal rural incomes due to falling prices and low rural wage growth are bound to put a squeeze on consumption demand in the economy, Vallabh said. He said the worst agrarian crisis in 20 years created due to "the demonetisation scam and Gabbar Singh Tax" has forced the government "to bandage the situation" by giving interest-free loans and income support schemes ahead of the general elections. "Like all other schemes, this is a hurried scheme prepared by a panic-stricken Modi government. This will only turn out to be an electoral 'jumla'," he said. He also said that India's foreign direct investment (FDI) outflows more than doubled in 2017 to $11.3 billion while FDI inflows fell 9 per cent to $40 billion during the year, according to the latest World Investment Report, 2018, released by United Nations Conference on Trade and Development (UNCTAD). "Which means even though ease of doing business ranking is getting better, economic conditions created by the Modi government are not conducive for private investment," he said.